The Sega CD was Sega's answer to the PC-Engine CD in Japan. While it had fairly-decent third-party support and floated in Japan (where the Mega Drive was never in first place), Sega of America and Sega Europe's insistence on shoving out FMV games and the popularity of the Super Famicom in Japan meant it could not be successful anywhere for long. In fact, it's now mainly remembered for all those FMV games. 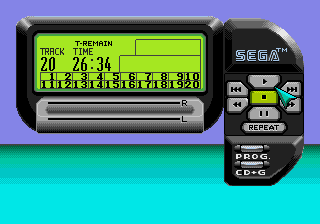 CDX (US)/Multi-Mega (EU)/Linguaphone Education Gear (JP): an all-in-one Genesis, Sega CD, and portable CD player. 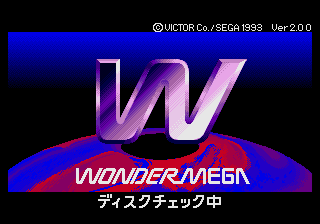 Wondermega (JP)/X'eye (US): a Genesis and Sega CD in one unit, usually with other extra features. Both Sega and Victor produced the Wondermega, whereas Victor's parent company JVC produced the X'eye. Victor also produced a later Wondermega M2. Mega LD: an add-on for the Pioneer LaserActive Laserdisc player (the LaserActive name is often incorrectly used to describe the Mega LD; a PC-Engine unit was also made) which allows playing Genesis, Sega CD, and "Mega LD" (basically a Laserdisc with Sega CD code) games. These Laserdisc games constitute their own separate software library and should be counted as a separate console. Aiwa Mega CD: a rare Japanese unit integrated into an Aiwa portable stereo. There are many different versions of the Sega CD BIOS, each featuring their own boot screens and UIs, and each running on a different set of Mega Drives. The Intro Type and UI Type numbers are arbitrary and provided for expository purposes only; they do not represent an official order. Note that there may be some version number and slight copyright differences between minor revisions of a major revision, though everything else is still the same. An example would be the differences between the Sega Wondermega and the Wondermega V2. 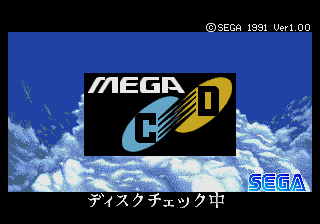 The Japanese Mega CD logo animated on top of a sky backdrop. The music in this version, a short piano/strings loop, is the most common background music across all revisions of the BIOS. A slight variant of this intro, complete with music, appeared in the first-party Sega CD game Panic as can be seen here. 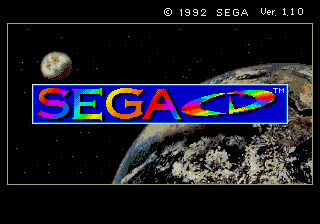 The Sega CD and SEGA logos animated over a space backdrop. 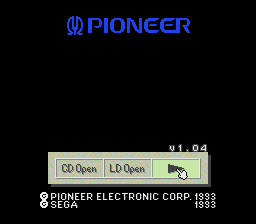 The music in this one is unique to the US Sega CD 1 and is a loop of electronic rock-type music. It should also be noted that the first part of the animation and music don't loop. 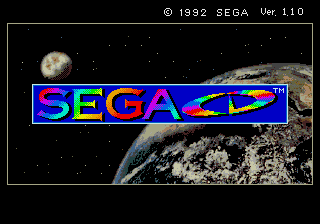 The European Mega CD Logo and the SEGA logo being animated over a space backdrop similar (but not identical) to the Sega CD 1 BIOS. 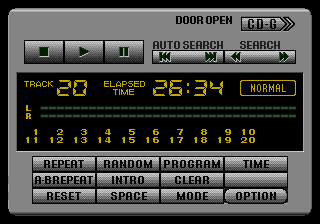 The music loop is the same as the Japanese Mega CD 1 BIOS. 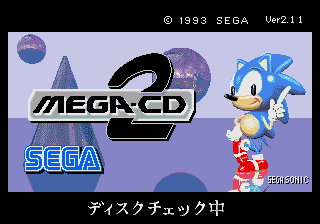 The Japanese Mega CD 2 logo (the only region with a Mega CD 2 logo) and the SEGA logo being animated over a backdrop with some geometric solids and Sonic doing one of his trademark poses. The music is the same loop from the Japanese Mega CD 1 BIOS. 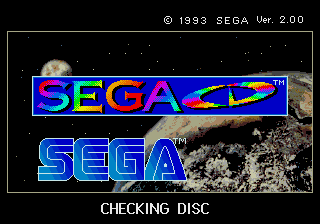 The Sega CD and SEGA logos animated over the same space backdrop from the original Sega CD BIOS. The animations are nearly (if not exactly) the same as the Japanese Mega CD 2 BIOS, but since the backdrop is different the animations may look odd at times. The music in this version is also unique to it, and is an electronic rock-type music. 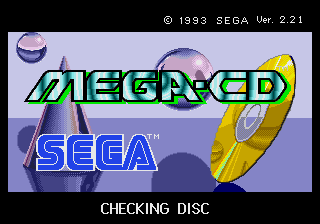 The European Mega CD logo and the SEGA logo animated over a backdrop similar to the Japanese Mega CD 2 BIOS, with a yellow CD instead of Sonic. While the Japanese BIOS had the logos layered behind the shapes at times, the European BIOS removes that and everything is layered on top. The animations are also nearly (if not fully) identical to the other versions. 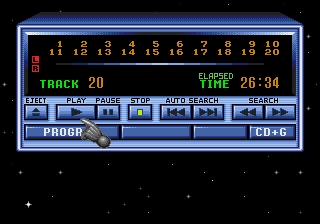 The music loop is also the same as the European Mega CD 1 BIOS, which in turn is the same as the Japanese Mega CD 1 BIOS. 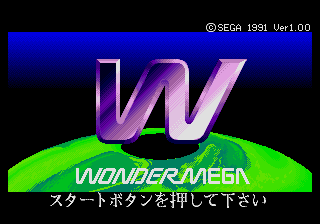 The Wondermega BIOS is, graphically, different from all other BIOS types, as the BIOS has a "W" logo animated against a backdrop of what appears to be a sphere with a hole in it, above a static Wondermega logo. 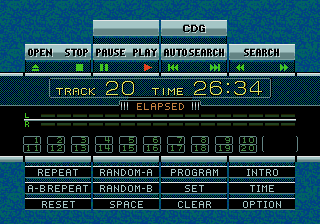 The music is the same loop as the one from the Japanese Mega CD BIOS, though the piano sample seems to have been modified somewhat. The Victor Wondermega M2 is a special case. While the UI may be the same as the X'Eye, the animation is exactly the same as the Sega Wondermega. Just the message and copyright info were modified on the startup screen. 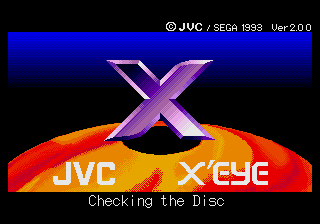 The JVC X'Eye BIOS is virtually identical to the Wondermega BIOS, animations, music and all, except the graphics for the "W" logo are now an "X", and the Wondermega logo has been replaced with logos for JVC and the X'Eye. No animations with this one. All this has is the Pioneer logo, a basic select screen, and copyright information. 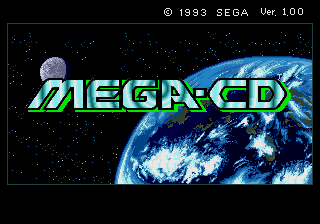 This screen does not respond in emulators or actual Mega/Sega CD systems, possibly due to the differences between the Mega LD and Mega CD hardware. 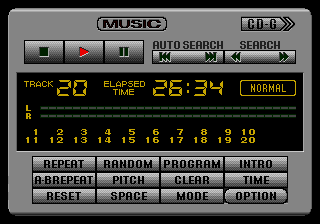 There are a few changes between the Victor Wondermega M2 and X'Eye, like the addition of the "Pitch" button and "MUSIC" being displayed at the top. This page was last modified on 31 January 2019, at 20:37.